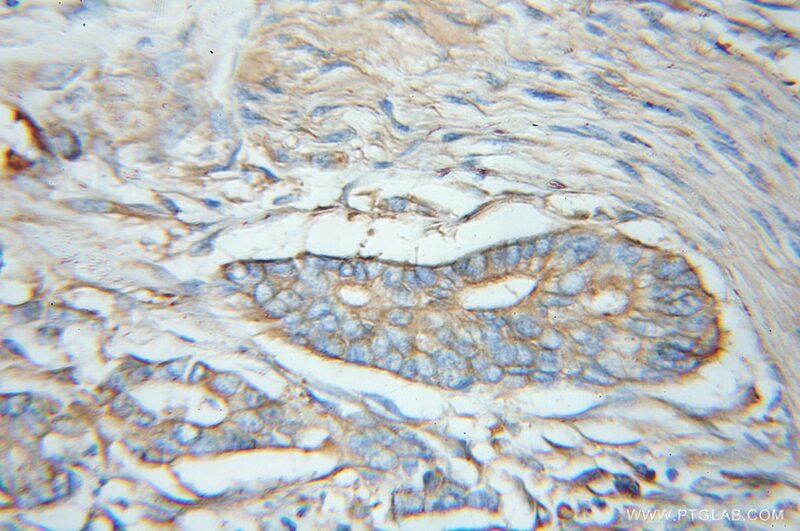 IP Result of anti-EIF3M (IP:11423-1-AP, 3ug; Detection:11423-1-AP 1:800) with HeLa cells lysate 3800ug. 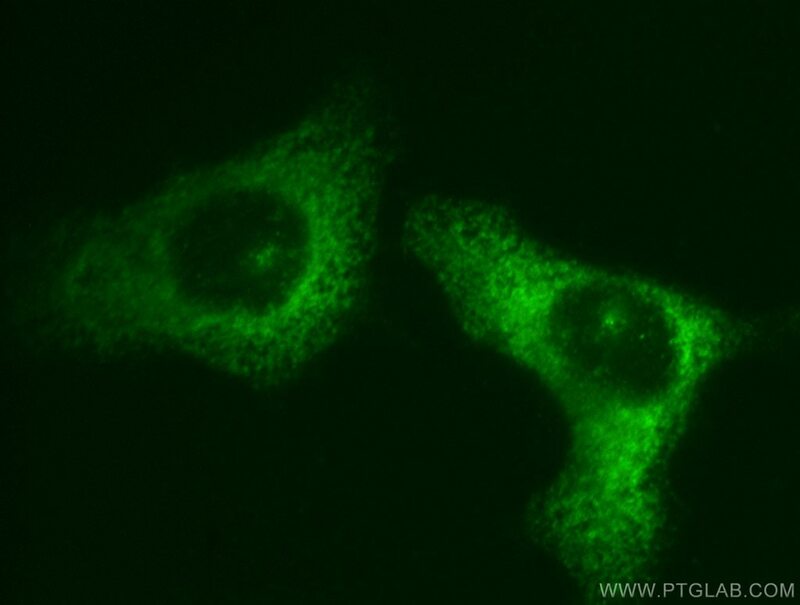 Immunofluorescent analysis of HepG2 cells, using EIF3M antibody 11423-1-AP at 1:50 dilution and FITC-labeled donkey anti-rabbit IgG(green). 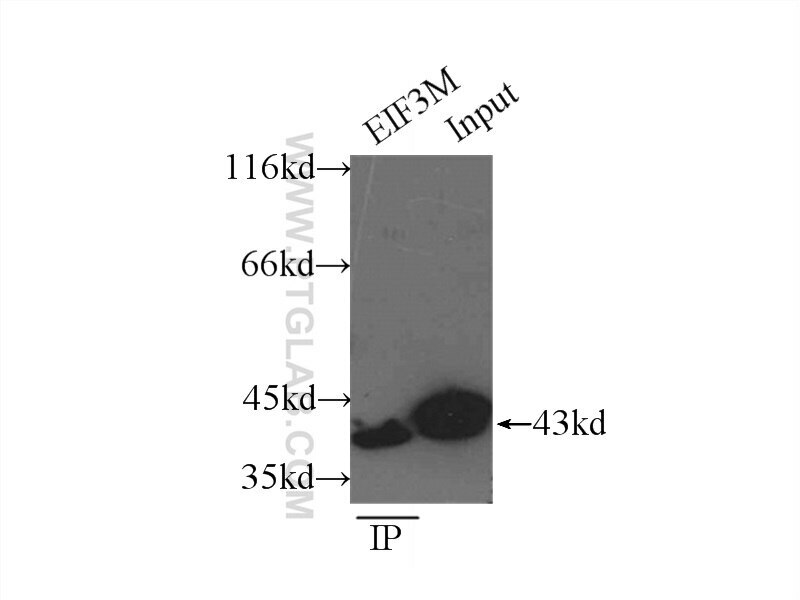 EIF3M gene encodes eukaryotic translation initiation factor (eIF) subunit M, also called GA17 or PCID1. eIF-3 complex is required for several steps in the initiation of protein synthesis, and recent studies indicate that regulation of oncogene expression and neoplastic transformation are controlled by eIF subunits. The most uncharacterized non-core subunit EIF3M was confirmed to be highly expressed in human cancer cell lines and colon cancer patient tissues and mediate regulation of tumorigenesis-related genes in human colon cancer. eIF3m expression influences the regulation of tumorigenesis-related genes in human colon cancer. Genome-wide silencing in Drosophila captures conserved apoptotic effectors.